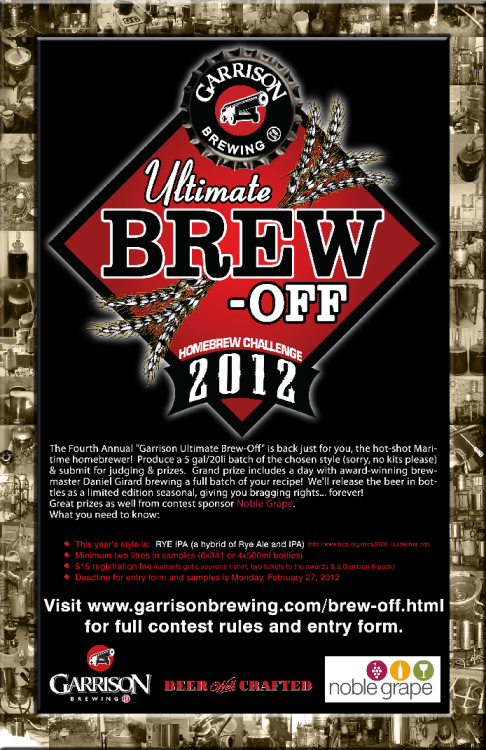 As per their Facebook page, Garrison Brewing Co. has announced that Kellye Robertson is the winner of the 2012 Ultimate Brew-Off Challenge. Kellye’s brew was chosen as the best of the 62 Rye IPA (hybrid of Rye Ale and IPA) entries in the 2012 contest. Congrats to Kellye and runners-ups Brian Whalen, David Bardsley, and James Dominey. If the folks at Garrison are wondering what to do with any left over entries, let me know!